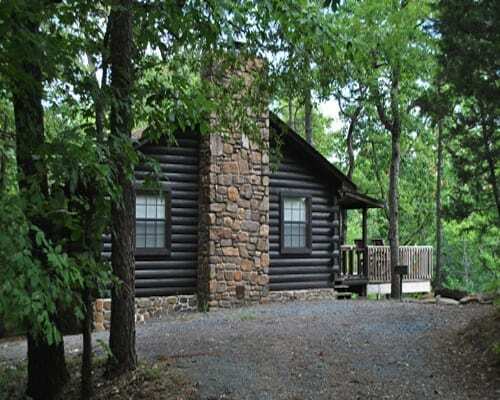 Lost Creek is the most popular cabin on the resort. Our guests say “because most secluded”. Lost Creek has a Western decor and very open inside. Also sitting on a 110 ft bluff make the Kiamichis’ appear in your backyard. When the aquamarine waters of Eagle Creek overflow; the water is right below the bluff. The second deck actually sits over the edge.